The state found high levels of industrial chemicals in two Kalamazoo County cities, but it’s unlikely they have the same source of contamination. 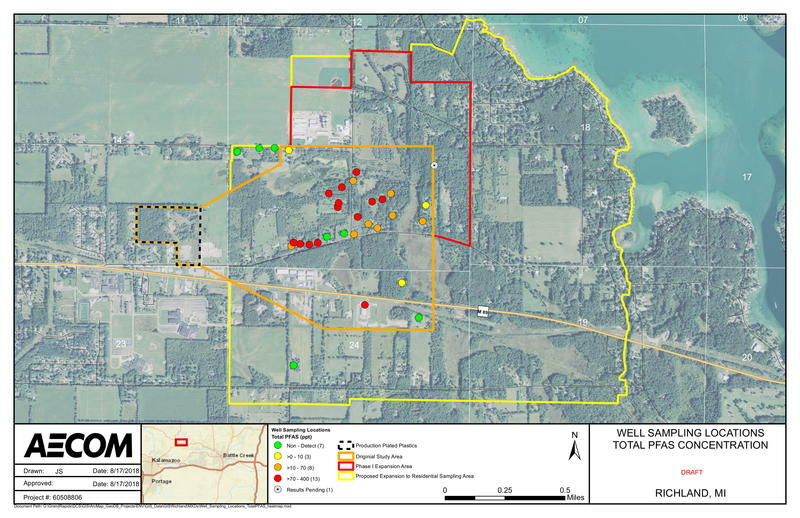 The Michigan Department of Environmental Quality found chemicals known as PFAS in 26 private wells in Richland Township and nearby Parchment. Both are in Kalamazoo County. 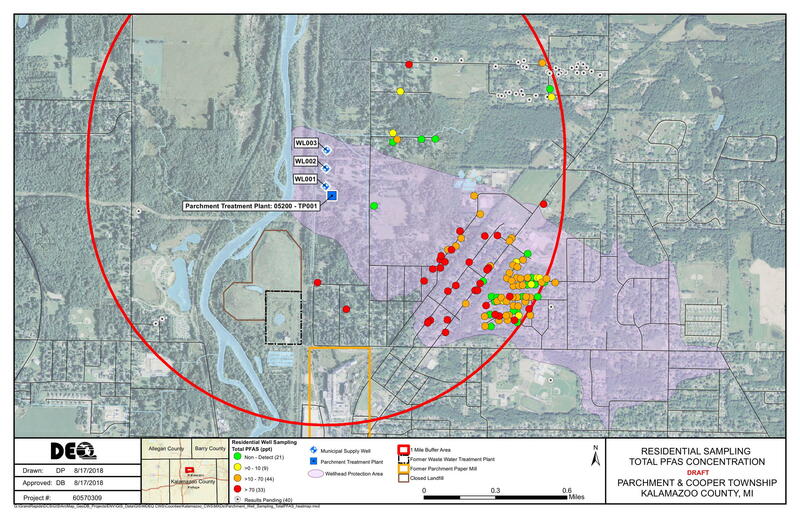 Maps from the DEQ shows that it found 13 wells in each city with PFAS concentrations above the EPA advisory level of 70 parts per trillion. The chemical compounds known as PFAS are commonly used to waterproof goods and in firefighting foam. Some commonly found PFAS compounds have been linked to testicular and ovarian cancer. The DEQ Quality is investigating an old paper mill and landfill in Parchment. 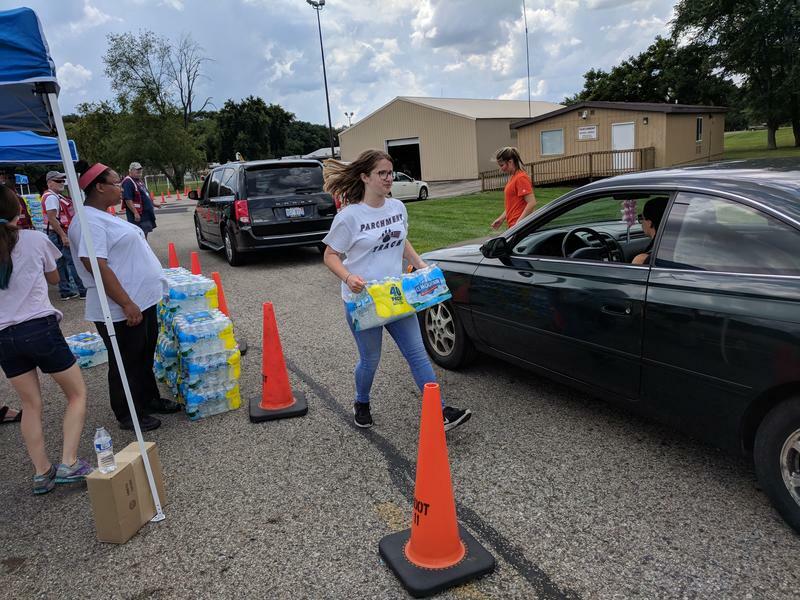 But an old plastic manufacturing plant is believed to be the source of PFAS in Richland Township. 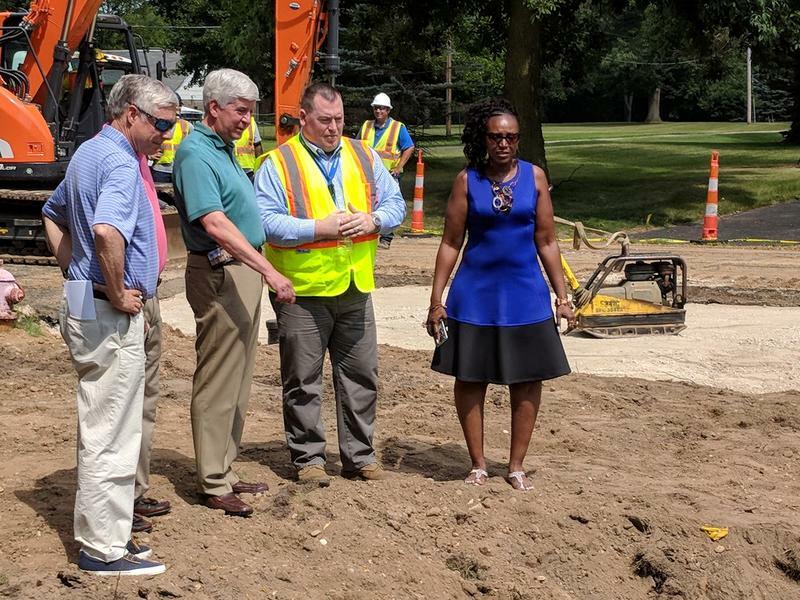 The city of Kalamazoo has connected its water system to Parchment, but residents there still haven’t been told their water is safe to drink. 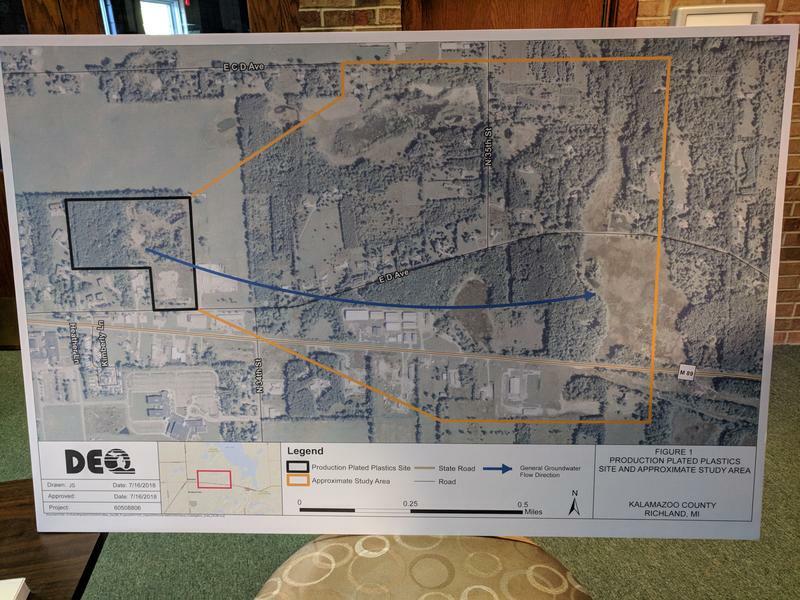 It is unclear if the state has found a long term solution for Richland Township residents.